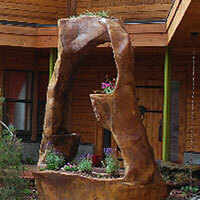 Le Jardin de Mon Coeur is a mountain estate garden that brings striking views into the home. 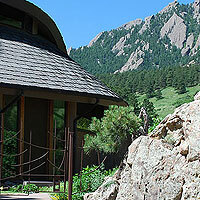 Custom-designed construction is invisible to the eye but heightens the dramatic impact of the luxury garden. Zaria’s Realm is a stunning garden sanctuary created on top of bedrock. Unique architectural features create a natural flow, extending the living space out into the garden, pool and extensive family play area.. The Garden of the Oreads was built in front of a luxury mountain home where there had been only asphalt for thirty-five years. We provided a Grand Award winning garden that creates visual separation from the street and a connection to the dramatic landscape. 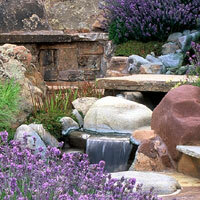 Foxtail Garden is a Grand Award winning, low water use garden. 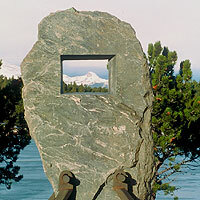 The owner, a patron of the arts, wanted a sculptural approach to her high-end luxury garden. 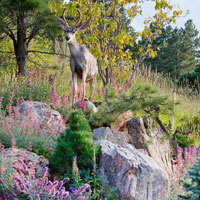 This Grand Award winning xeriscape garden is set on a dramatic site with 360-degree views. The vision was to connect the house with the surrounding panorama, so the garden beautifully leads the eye through to the landscape. 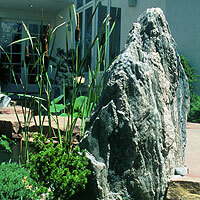 Green Pearl Dragon, an Asian-style luxury garden, is an entrance garden to a town home in a gated community. The owners wished to have a garden in the spirit of the great gardens of Kyoto. 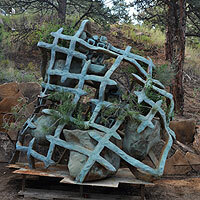 My art — expressed in bronze castings, steel fabrications, a proprietary system of ferro-cement garden sculptures, custom luxury gardens, photography and film — has been a lifelong search for the same evolving expression. 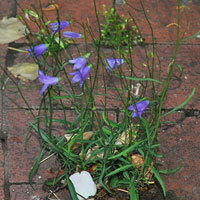 Our Siginifer series of micro-landscape sculptures work in any location. The sculptures can enliven a great variety of spaces: rooftop decks, urban courtyards, and building lobbies as well as natural settings.